The sugar maple, it’s our state tree, why not TAP IT! 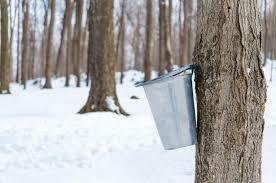 Learn how to make maple syrup, a process known as sugaring with Keith Hubbard on February 11, at 5:30. Keith’s demonstration will include waffles with pure maple syrup sampling, YUM!